In order to retrofit a construction machine, two of its parts were 3D scanned, reverse engineered and milled anew. The task was to duplicate two independent parts of a construction machine (drawbar & yoke assembly and circle assembly) for future use. 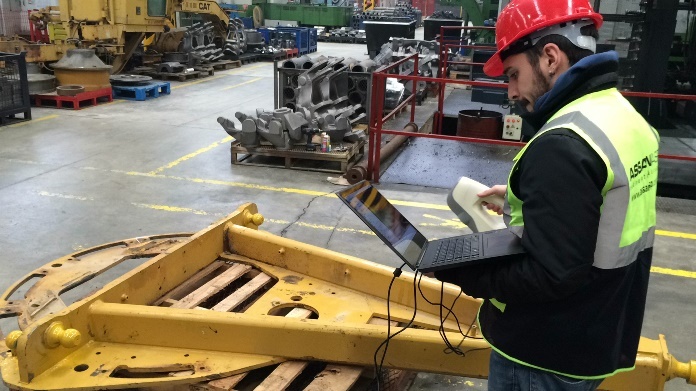 Ali Can Boysan scans the drawbar & yoke assembly with Artec Eva. “The freedom of movement with the Artec battery pack was a huge advantage, I walked around the parts freely,” says Ali. The parts featured some shiny and metallic surfaces, so those areas needed to be sprayed before scanning. 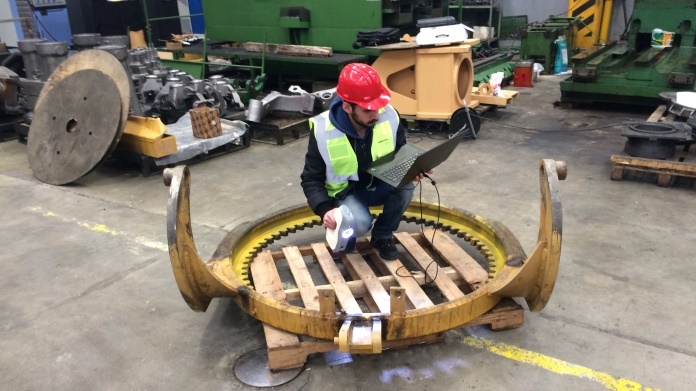 Scanning the circle assembly with Artec Eva. Once he was done with the scanning, Ali transferred the data to his computer at the Teknodizayn office. 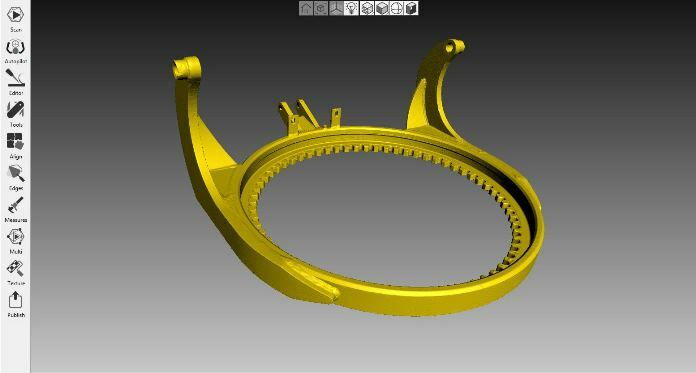 Post-processing each part in Artec Studio 11 3D imaging software took around 4-5 hours. There were numerous scans from different angles on both top and bottom sides of the parts, which added up to a large amount of data. 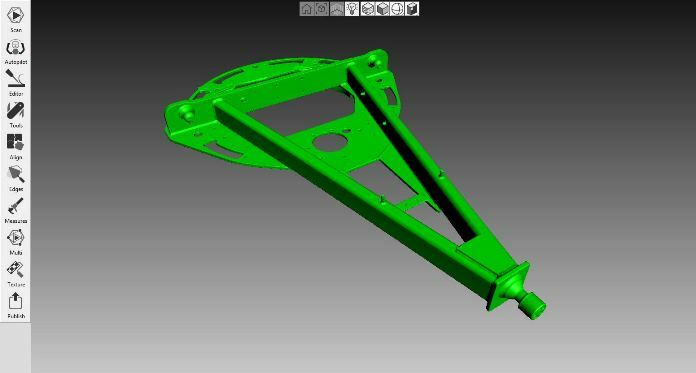 The .stl model of the drawbar & yoke assembly in Artec Studio 11. The .stl model of the circle assembly in Artec Studio 11. 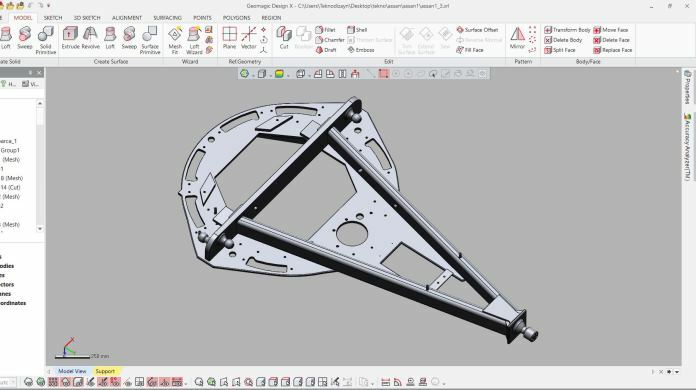 The drawbar & yoke assembly in Geomagic Design X. 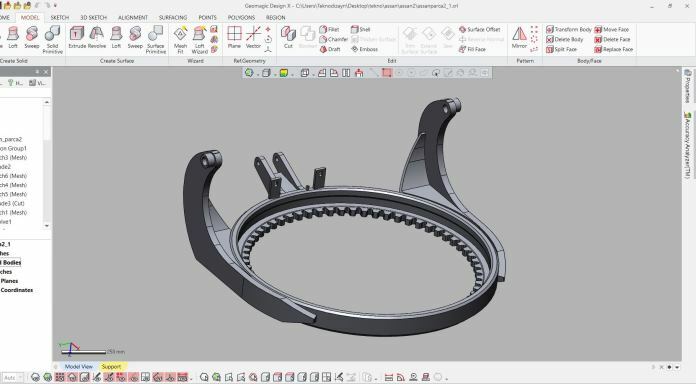 The circle assembly in Geomagic Design X.